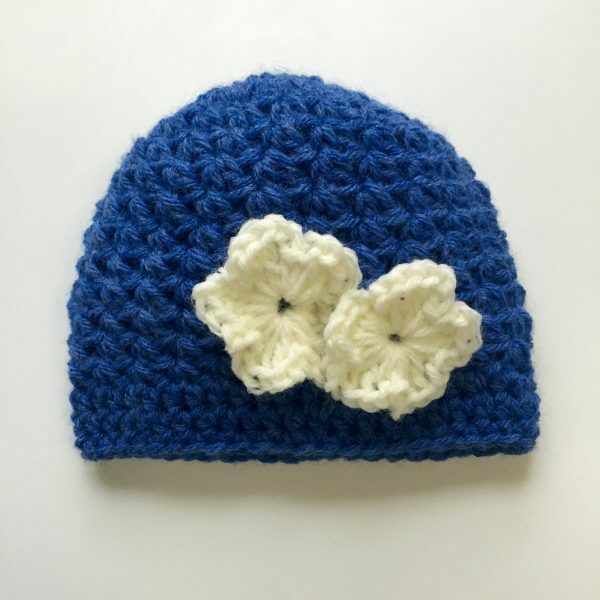 This adorable hat makes a great photo prop for baby’s first photographs or a charming accessory for those delightful photos you plan to take of your little/big girls. Need a unique baby shower gift? Aleah’s Hat will make a perfect baby shower gift – crochet a larger size – everyone else is giving newborn size gifts. 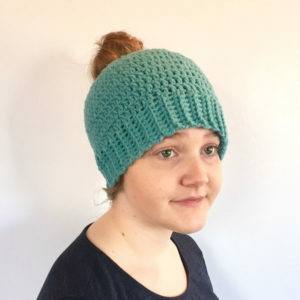 This hat is fetching on older girls and women too! Crochet one to match a new dress – think Easter and Mother’s Day – or any day! 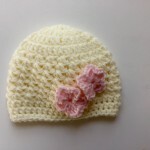 Includes pattern for hat and flowers. 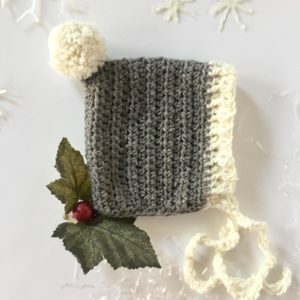 Hint: Crocheted in her favorite colors, this would make a great gift for the sweet girl in your life! 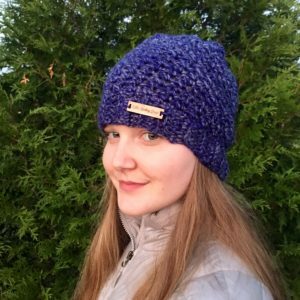 You’ll need a H Crochet hook and your favorite worsted weight yarn.